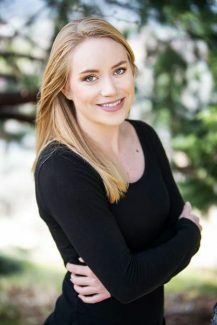 Brook Bentley is the social media and content manager for Sierra Nevada Media Group, which publishes the Sierra Sun and North Lake Tahoe Bonanza. Advertising ideas for small businesses can be overwhelming with the power of the internet and continued growth of social media, but the reality is these powers are not going anywhere and they can actually be a great outlet to advertise your business locally. Sprout Social(https://sproutsocial.com/insights/data/q3-2016/) recently noted that 75 percent of people purchased something because they saw it on a social media channel. So where do you start? Let’s look at some key pieces that make social media platforms a great place to advertise and how that can tie to advertising your business locally. 81 percent of the U.S. population has a social network profile of some kind. (https://www.statista.com/statistics/273476/percentage-of-us-population-with-a-social-network-profile/). That’s a lot of people. This can also create a lot of noise for your brand but by effectively using Facebook Ads your business can have a successful local reach. By configuring a Facebook ad to promote your business locally the goal is to quickly and easily target new customers by showing ads to people near your physical business location. Facebook knows people are near your business by their phone’s location or settings on their account. Facebook also takes it to the next level by allowing locally relevant messaging, this mainly focuses on a message that allows people to understand the unique value your business offers as well as their proximity to the brick and mortar location. You may recall seeing a map like the one to the right at some point. There is a lot of attention around Instagram but rather than just joining the hype, let’s focus on some real points that make Instagram a valuable place to advertise your business. Much like Facebook, Instagram allows you to tailor ads to specific audience types including location, which can be a great way to advertise locally. There is a lot of diversity in the types of brands advertising on Instagram from fashion companies to consumer tech companies. However, one thing these companies have in common is excellent visual content. At its foundation, Instagram is focused on imagery that captures users and kept them in the app for 15 minutes on average during 2016. (http://www.socialmediatoday.com/marketing/how-much-time-do-people-spend-social-media-infographic or https://www.marketingprofs.com/chirp/2017/31864/how-much-time-do-people-spend-on-social-media-infographic) The in app time coupled with the ability to build an ad that targets people based on their specific locations makes Instagram a valuable place to advertise your business. So now that we’ve covered the value of social media based on its ability to target the location of people who see your ads, the next step is on the ad itself. Social media access from mobile devices made up 80 percent of social network uses in 2016 (https://www.emarketer.com/Article/Nearly-One-Third-of-World-Will-Use-Social-Networks-Regularly-This-Year/1014157). This means when it comes to building your ads, be mobile minded. Targeting location can be very successful and ads optimized for mobile use will likely have even greater reach. Being mobile-minded opens up advertisement ideas for small businesses. Some of those ideas can live in Facebook with maps and addresses, others can tap Instagram with visual stories showing your local community and location. While Google falls on the search engine side of things, it also interacts closely with social media and can ultimately further the reach of your business’ ads. Google loves content and content marketing is a less invasive way to engage with your target audience. It allows you to present highly engaging and useful content while subtly promoting your business. Another fact about good content is that it increases brand loyalty and allows you to be relevant to your customer beyond having products or services to sell. Taking this content and distributing it across social media outlets can further your brand loyalty. A recent study found that 53 percent of Americans who follow brands on social media are more loyal to those brands (http://www.convinceandconvert.com/social-media-research/53-percent-of-americans-who-follow-brands-in-social-are-more-loyal-to-those-brands/) This loyalty comes as your target audience finds consistency in the messaging from your company, both on social media, online and in person. It also positions your business as a thought leader with your target audience and provides them with something of value after they have interacted with your brand. So try it out and see if social media is a successful place for you to further your local advertising efforts.